Get out of town with these interesting Koli National Park side-trips: New Valamo Monastery (in Heinavesi) and Joensuu (Sculpture Susi Kosiomatkalla, Joensuun Tori (Joensuu Market), & more). To see where to stay, photos, ratings, and other tourist information, use the Koli National Park online trip maker . 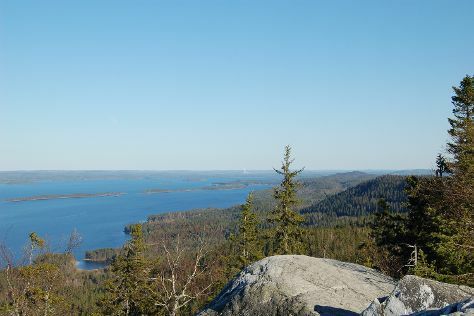 In April, daily temperatures in Koli National Park can reach 6°C, while at night they dip to -2°C. Wrap up your sightseeing on the 13th (Sat) to allow time to travel back home.